Pain Away is a herbal cream that relieves the pain and inflammation of arthritic joints and inflamed muscles.This cream can also be used by woman to relieve painful menstrual cramps. 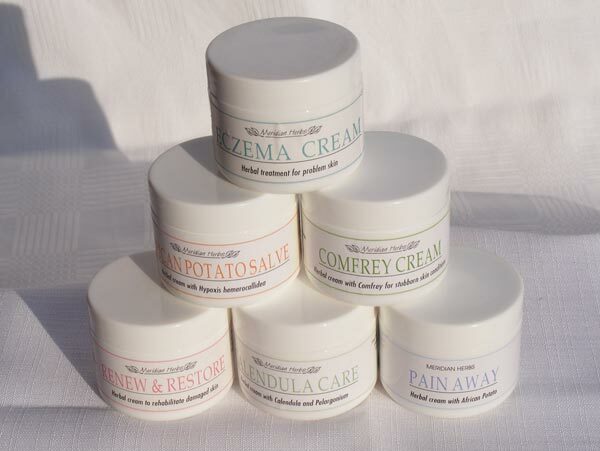 This herbal cream can be used for stubborn skin ailments like slow healing wounds, skin ulcers, abscesses and inflammation. This is an enriched Renew and Restore herbal cream for exceptionally dry, irritated skin. Contains lanolin - which can cause an allergy in some people.